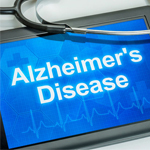 WEDNESDAY, Oct. 1, 2014 (HealthDay News) -- Middle-aged women with a neurotic personality style and prolonged stress may have a heightened risk of developing Alzheimer's disease, new research suggests. Tracking 800 women over nearly four decades, Swedish scientists found that those who were most anxious, jealous and moody -- which they defined as neurotic -- and experienced long-standing stress had double the risk of developing Alzheimer's compared to women scoring lowest in these traits. "No other study has shown that [one style of] midlife personality increased the risk of Alzheimer's disease over a period of nearly 40 years," said study author Lena Johansson, a researcher at University of Gothenburg. Outside experts cautioned, however, that the study results don't prove that neuroticism triggers Alzheimer's, but they do suggest an association between the two. The study is published online Oct. 1 in the journal Neurology. The most common type of dementia, Alzheimer's disease causes profound memory loss and impairments in language, focus, judgment and visual perception, according to the Alzheimer's Association. About 5.2 million Americans have been diagnosed with Alzheimer's, which is progressive, incurable and ultimately fatal. Johansson said she believes the results would also be true for men. But study data -- pulled from research that began in the 1960s -- happened to include only women in an era when few medical studies focused on females. In the new study, participants with an average age of 46 were tracked for 38 years and given memory tests and personality tests measuring their levels of neuroticism and extraversion (defined as being outgoing) and introversion (defined as reserved or shy). Study authors defined neuroticism as being easily distressed and exhibiting personality traits such as anxiety, jealousy or moodiness. People with this personality style are more likely, they said, to express guilt, anger, envy, worry and depression. The women were also asked if they had experienced any period of prolonged stress lasting one month or longer and to rate their stress on a scale from zero to five, which represented constant stress during the previous five years. Stress responses included nervousness, sleep disturbances, fearfulness, irritability and tension. Being introverted or extroverted alone didn't seem to affect dementia risk, but women who were both easily distressed and withdrawn (introverted) had the highest risk of Alzheimer's among all women analyzed. One-quarter of them developed the disease, compared to only 13 percent of those considered outgoing (extroverted) and not easily distressed. "We know genetics drives personality and disease itself, but there's very little understanding of how personality drives disease," said Dean Hartley, director of science initiatives for the Alzheimer's Association, who was not involved in the research. "We need more data." Just how might personality influence the risk for dementia? By influencing a person's behavior, lifestyle or stress reactions, all of which affect overall health, Johansson said. Also, prior research has indicated that neuroticism and stress are associated with changes in the hippocampus, a brain structure affected early in Alzheimer's disease. Hartley said the new research was limited in its ability to measure participants' actual stress levels, since it did so by asking them a single question about stress every five years instead of measuring specific biochemical responses to stress. "Future studies should examine . . . whether this [neurotic] group responds well to interventions," Johansson said. "It remains to be seen whether neuroticism could be modified by medical treatment or through lifestyle changes."